What this project by Immerse Pools is lacking in size, it more than makes up for in design. The expert team designed and constructed the entire pool and backyard space, including the landscaping. An easement at the rear of the property impacted the pool’s position, meaning that it had to be close to the house and rectangular in shape. Demonstrating a high level of creative thinking and craftsmanship, the team were able to use these constraints to enhance the final design. Measuring 5m x 2.6m, the concrete pool is large enough for the kids to play in while still allowing ample relaxation space for the family to enjoy. To maximise space in the pool, the entry steps were appended to the side of the swimming area. Instead of coping, the interior glass mosaics wrap around the exterior and clad planter boxes to seamlessly integrate the pool into the surrounding landscape. The fresh, modern design features light-coloured tiles throughout and raw spotted gum decking to complement the minimalist style of the home, as well as vibrant green foliage to brighten the space. The natural colour palette was chosen to create the illusion that the outdoor area is bigger than it actually is. This beautiful pool also serves as a water feature to be admired from inside the home all year round. The high-end design is complete with state-of-the-art fittings, including an AstralPool heat inverter and off-peak pump to maximise the pool’s efficiency. The pool also features an AstralPool glass media filter and two multicoloured LED lights from Spa Electrics. 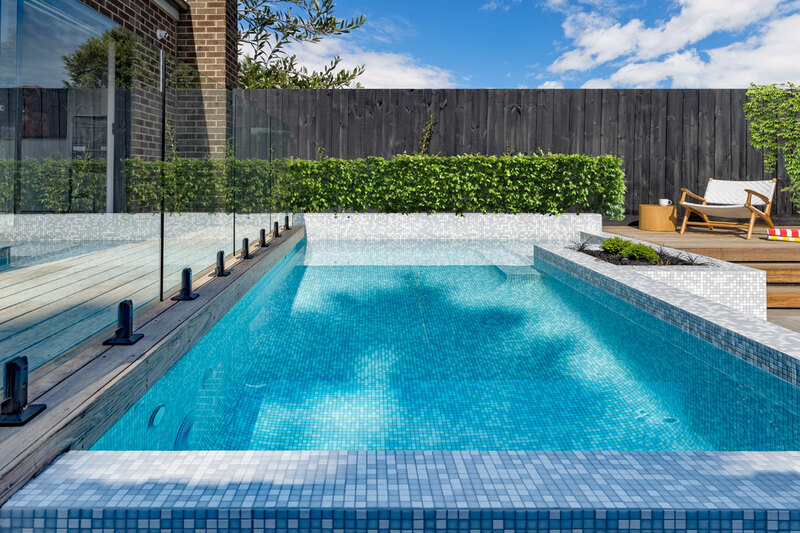 With a strong heritage in custom craftsmanship and outstanding attention to detail, Immerse Pools is a family business that services all of metropolitan Melbourne. Operating on the belief that a beautiful backyard enhances everyday life, the company’s experienced team of industry-certified designers will take your interests and aspirations into consideration for a spectacular result. Offering superior communication skills, Immerse Pools can create an outdoor area that is innovative, attractive, and tailored to your unique lifestyle. 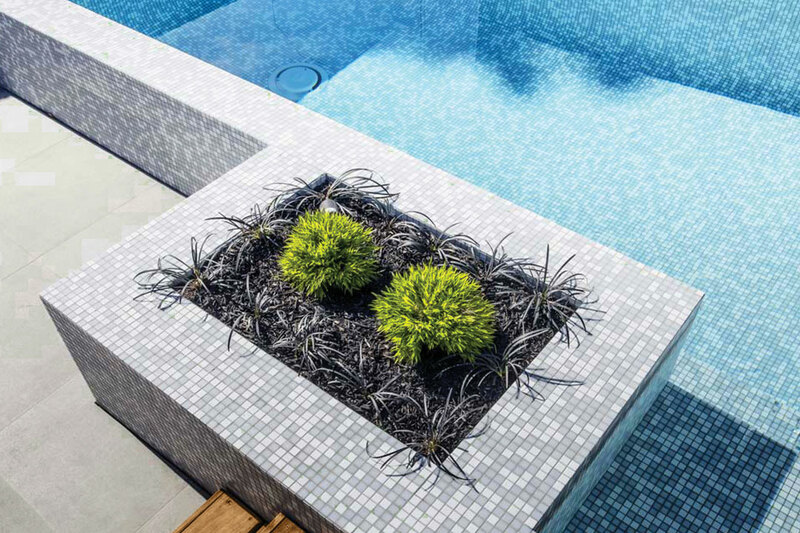 Specialising in concrete swimming pools and the design of functional outdoor spaces, the team at Immerse Pools complete 25–30 projects each year.